An advanced new laser screed provides highest quality screeded slabs for walkways, industrial floors, and commercial and retail applications. 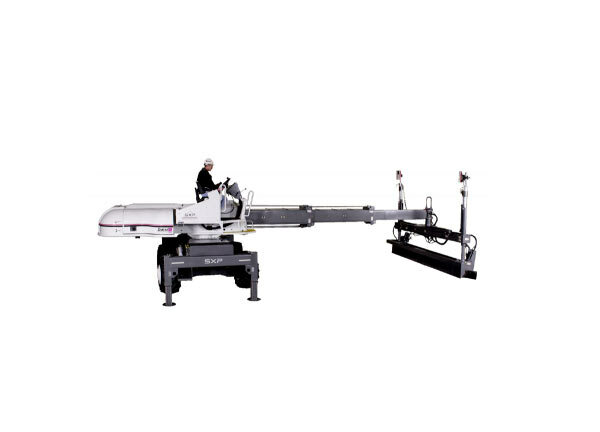 The system allows contractors to achieve higher production volumes per day, with reduced labor hours on-site, thanks to preset stabilizer-extend and retract positions, which save time with each machine set-up. At the heart of this “autostabilizer” feature is a Best Metal Products hydraulic cylinder, custom-engineered for this application. Best’s hydraulic cylinders are the perfect choice for equipment companies who want precise, uniform performance and long, reliable service life. Whether your requirement is a cylinder that allows a laser screed to deliver a perfect pass every time, consistent power to move commercial snow plows and mining equipment, or the safe, stable raising of workers on lifts, Best Metal Products is the OEM choice in hydraulic cylinders.